The impasse over the electoral reforms seemed over on Monday night when President Maithripala Sirisena settled for the criterion proposed by the United National Party (UNP) for the election of MPs under a combination of the First Past the Post System and the District Proportional Representation System. In the original concept paper, presented by the President, it had been proposed to increase the number of parliamentary seats to 255 from the present 225. Yet, the UNP, the main ally of the government, was opposed to it tooth and nail, and insisted that the present number should remain unchanged at any cost. 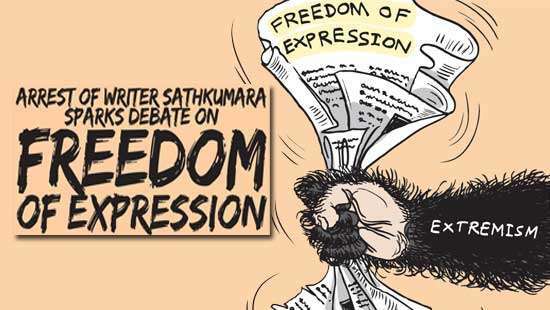 The party tried to reason out its position on the basis that the public opinion was not in favour of any such increase given the high cost involved in maintaining the Legislature of Sr Lanka, a country with a population of 21 million only, did not require a high number of MPs to govern its affairs. 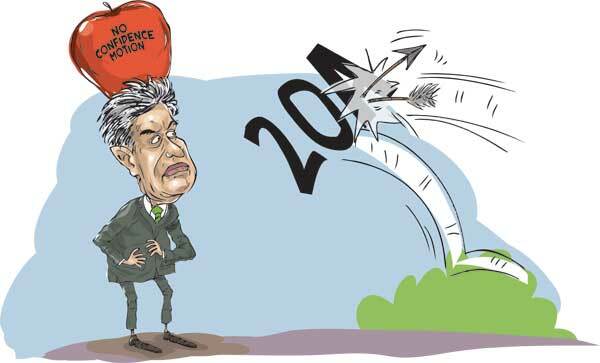 The UNP did not budge from its stand, and it led to a stalemate in the evolution of electoral reforms to be enacted as the 20th Amendment to the Constitution. Alongside, some other parties including JHU, as a government ally, and the United People’s Freedom Alliance (UPFA), exerted pressure on the President to proceed with electoral reforms to be passed into law in Parliament. After much political hassle, the Cabinet met on Monday night for a special session to endorse the electoral reforms to be presented in the House as a new legislation. After a lengthy discussion, the President finally acceded to the UNP criterion envisaging 125 seats from the constituencies (First Past the Post System), 75 from the District Proportional Representation System and 25 from the National List. For the UNP, it appeared as a gain. Exalted by the President’s acceptance, the party was in a hurry to leak the information to the media, expecting it to be flashed for public consumption as soon as possible. Many thought the deal was sealed, and the much awaited electoral reforms would see the light of day in succession to the 19th Amendment. But, once again, uncertainty loomed the following day after the UPFA, the main Opposition, pressed for changes to the criterion. The UPFA, at its parliamentary group meeting, pressed for the increase of the proportion of MPs under the First Past the Post System. “There are 16 electorates in the country. If we reduce them to 125, there would be problems. 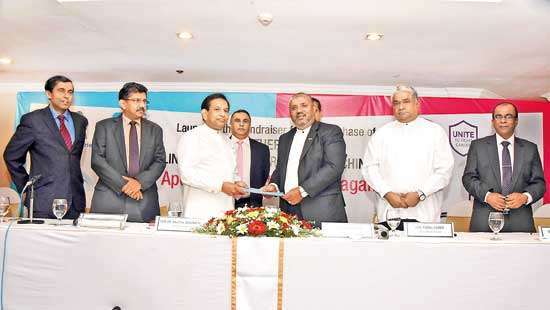 Therefore, we want to increase the proportion under the FPP,” UPFA Secretary MP Susil Premajayantha said. The meeting, chaired by the President, was tense at times with MPs querying the President about the way forward. The President, who endorsed the UNP position for 225 seats the previous day, tried to appease the members of his UPFA the following day. He said though he settled for 225 seats, there was scope for the increase of the number up to 230 or 235 if necessary, through amendments during the committee stage of the debate on the matter. So to speak, it is apparent that the President is at pain to strike a balance between the two parties across the political divide to make sure that the 20th Amendment is incorporated into the Constitution. But, a lot of work remains to be done ahead in this respect as dissension rages among the minority parties on the formula proposed. Tamil Progressive Alliance (TPA), an amalgam of three parties representing Tamils of Indian origin, came out strongly against the formula. Mano Ganeshan, the leader of the newly formed TPA, said in a statement his alliance supported the 20th Amendment, but would not agree to the formula agreed upon at the meeting. The TPA is the new alliance formed with Democratic People’s Front led by Mano Ganesan, Workers National Front led by Cabinet Minister PalaniThigambaram and Up-Country Peoples Front led by State Minister V. Radhakrishnan. He said, “An urgent meeting of the Assembly of Minor Parties (AMP) is called on Thursday to discuss the latest developments. Until Monday morning we discussed the 20A based on the document submitted to the Cabinet and party leaders by the President. The formula in the presidential document is FPP 165+ DPR 31+ NPR 59 to a total of 255. But suddenly to the surprise of all of us the formula has changed. The spirit of 20A is to cut down the preferential vote system and bring back the system of an MP for every electorate. We are for these changes. The presidential proposal reasonably addresses minority concerns too. The minorities were assured that new single member and multi member electorates will be carved out by the delimitation commission. The number 165 was arrived at as the FPP electorates to accommodate new single member and multi member electorates. The new formula with FPP 125 dismisses all hopes. It is because with 125 FPP seats we cannot create new electorates. Minorities who played a lead role in forming this government are disappointed with the new formula. Prime Minister Ranil Wickremesinghe has forwarded this formula to the cabinet. I today spoke to the Prime Minister on this and expressed our stance to him. He told me that he forwarded this formula to the Cabinet not as a UNP formula but a balancing formula between various proposals. And he said he has already informed the President that minorities are not in favour to this formula and suggested for a presidential discussion with minority parties. TPA is looking forward to meet the President too on this today or tomorrow. We can’t let this happen. It’s nothing but suicidal to the minor parties. We are not opposing the 20th amendment but certain contents. I had discussions with JVP leader Anura Kumara Dissanayake and SLMC leader Rauf Hakeem. We will go ahead with the discussion of the Assembly of Minor Parties (AMP) to decide our own formula and the proposal of double vote on Thursday. Therefore, it is certain that the process is inclined to hit a snag. These are the three main Tamil parties that delivered a large number of votes from the estate Tamil community to the President at the January 8th Presidential Election. So, the President may be compelled to give them a hearing before drafting the legislation by Friday. Apart from the pressure from the political parties concerned, another serious challenge lies ahead for the President in ensuring the smooth passage of the bill on electoral reforms. That is again from the UNP. The UNP, it is learnt, has made its support to the Bill conditional to the withdrawal of the No-confidence motion against its leader Prime Minister Ranil Wickremesinghe. The motion, signed by 112 MPs, was handed over to the parliamentary authorities to be placed on the Order Book. 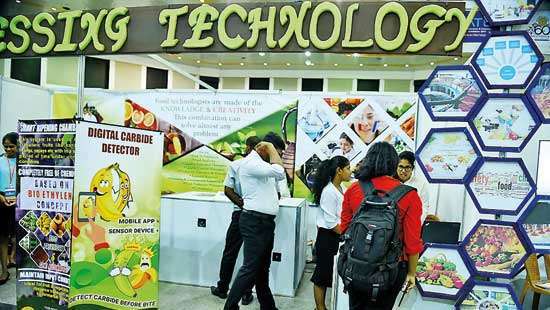 Mr. Wickremesinghe inquired about the President’s stand at the Cabinet meeting on Monday. “What is the position regarding the No-confidence motion,” the Prime Minister inquired. “I have asked the UPFA not to proceed with it,” the President responded. It was widely reported in the media the following day. The President’s stance was not to the liking of UPFA which brought this motion. So its members raised the matter with the President at the parliamentary group meeting. UPFA leaders such as Vasudeva Nanayakkara categorically refused to withdraw the motion. But, the President insisted on the withdrawal of it for securing the UNP support to enact electoral reforms. Mr. Nanayakkara came up with an alternative for it. After unseating the Prime Minister, he said, a UPFA government installed to be entrusted with the task of enacting the proposed legislation. Actually, the UPFA faction, loyal to former President Mahinda Rajapaksa, is pressing for the debate on the No- confidence motion against the Prime Minister. As per the constitutional provision, the Cabinet of Ministers stand dissolved if the No-confidence motion against the Prime Minister is passed with a simple majority in Parliament. The Rajapaksa loyalists look to such an eventuality. They insist for a UPFA government to be in place prior to the dissolution of Parliament. Sri Lanka Muslim Congress (SLMC) is in a dilemma after its stalwart Basheer Segudawood, who is at loggerheads with the party leadership, wrote a letter to President Maithripala Sirisena renewing its call for a separate coastal district for the Muslims, amalgamating the electorates of Kalmunai, Samanthurai and Potuvil in the present Ampara district. This has been a long standing demand of the SLMC right from the days of its late leader A.H.M. Ashraff. However, the party drew flak when it renewed its call every time. Some parties even called it a stepping stone for a separate autonomous region for Muslims in the future. The SLMC hierarchy is in a precarious situation today. It cannot dissociate itself from Mr. Segudawood’s call. At the same time, it cannot make any public comment on its position now as it can trigger political reaction adverse to its future course of action in politics. Everybody wonders why Mr. Segudawood sent such a letter even without the consent of the party leader. Mr. Segudawood , however, has been at odds with the leadership for some time now.